During low tide you can walk (or ride on a horse) quite far out into Loch Indaal at the top of the loch. During an Islay walking week a few years ago we walked across the loch from the Gaelic College in Bowmore almost all the way to Bridgend (you have to return to land where the River Sorn flows into Loch Indaal). 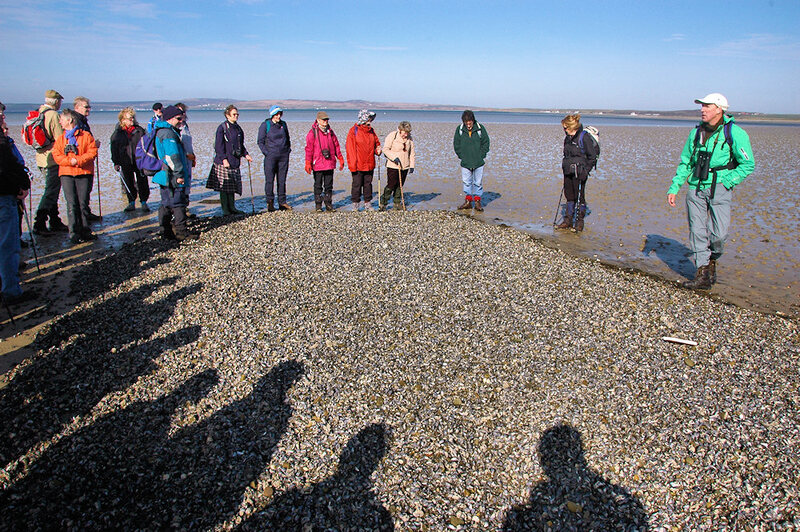 During the walk we came across this mussel bank, which Donald James (in the green jacket) pointed out to us. This entry was posted in Beaches, Landscape, Repost, Sea Loch, Sunny Weather and tagged Bowmore, Bridgend, Islay, Loch Indaal by Armin Grewe. Bookmark the permalink.